A return of 16% over the 20 months period. Would Tony and Rafizi had compensated 1MDB for RM1.14 billion if they had listened to you then? 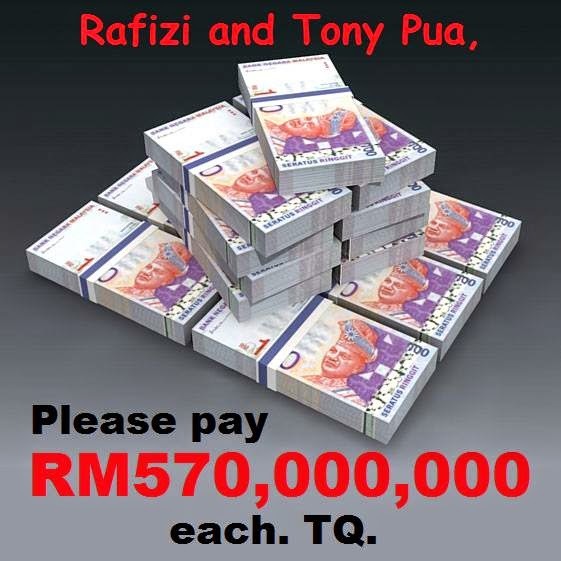 Each of you go on fund-raising campaign from your supporters to get RM570 million each, can or not? 1MDB run by professionals who understand FOREX risk and they know that they have USD bonds lah. They know how to do risk management and get the best risk/returns based on their analysis. They don't play TIKAM like both of you.